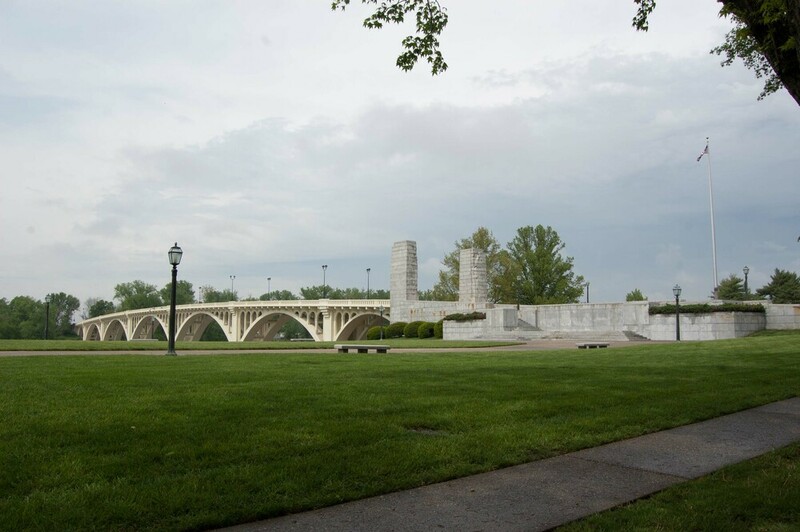 The George Rogers Clark National Historical Park is located on the assumed location of former Fort Sackville. With the end of the French and Indian War, the American theatre of the Seven Years’ War, the British controlled the region between the Appalachian Mountains and the Mississippi River. Fort Sackville in Vincennes, and two forts along the Mississippi River near St. Louis, were the centers of British authority in the region and helped support Britain’s goals to prevent pioneers from settling in the area. During the Revolutionary War, George Rogers Clark led attacks on these forts to remove the British stationed there. After Clark took the two forts along the Mississippi River, the British strengthened the troops at Fort Sackville. In February of 1779, Clark and 170 troops marched through freezing floodwaters to Vincennes. After reaching the fort, Clark forced the British to surrender. With the taking of Fort Sackville, Clark secured the Northwest Territory for the newly formed United States. 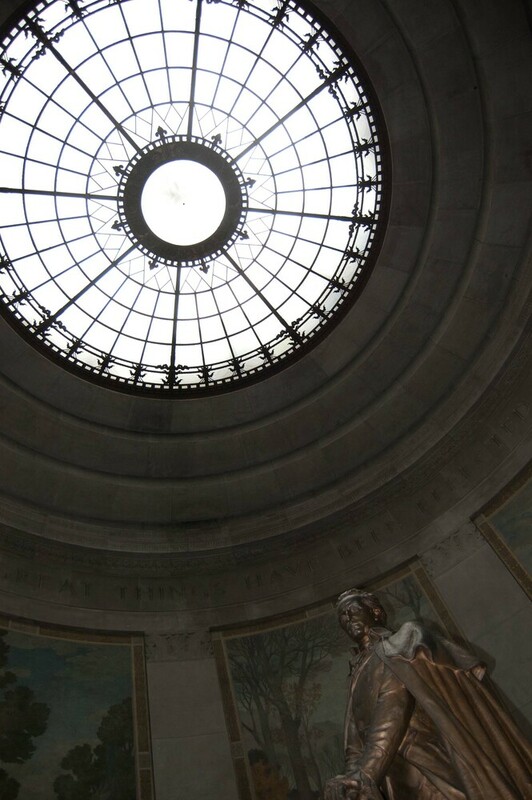 George Rogers Clark Historical Park has a thirty minute video about Clark’s western campaigns and the Clark Memorial is also located within the park. The George Rogers Clark National Historical Park was listed in the National Register of Historic Places in 1966. 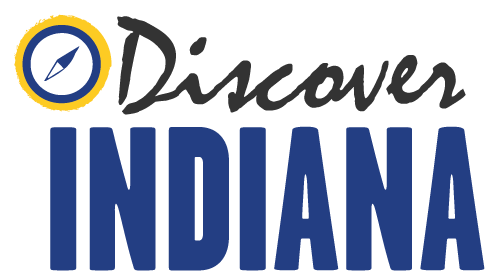 Indiana Division of Historic Preservation and Archaeology, “George Rogers Clark National Historical Park,” Discover Indiana, accessed April 25, 2019, https://publichistory.iupui.edu/items/show/260.